Although the Samsung Galaxy A8s has yet to hit Indian markets, we can safely expect it to do so soon, given that the company brings all its offerings to the country, and moreover, its closest competitor, the Honor View20, is set to come to India in a short while. Meanwhile, the South Korean company is busy working on the launch of its upcoming flagship phones, the Galaxy S10 and Galaxy S10+, which are expected to launch at or around the Mobile World Congress on Feb 25, 2019. And it appears that the company is also working on two other mid-tier phones, the Galaxy M20 and Galaxy A50. 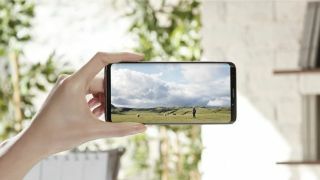 The M20 is expected to launch before the S10, but it seems that the A50 will only go official after the Mobile World Congress 2019. Previous rumours that the A50 would pack a 5000mAh battery have now been denied; it seems it will pack a 4000mAh one instead. Additionally, the Samsung Galaxy A50 will support more than one rear camera, and the primary one will have a 24MP sensor. The device will be powered by Samsung’s Exynos 7 9610 chipset, an octa-core processor with four Cortex-A73 cores and four A53s. There will reportedly be two storage variants of the A50- a 4GB/64GB version, and 4GB/128GB. The A50 is expected to run Android 9 Pie out of the box, based on its own One UI. Judging by this information, the A50 will probably launch after the Galaxy S10 and S10+, since the yearly flagship phones are usually the first to launch with the latest software, and the Galaxy S10 series is said to run Android 9 Pie out of the box as well. Further reports place an in-display fingerprint sensor on the A50, but it is said to be an optical sensor rather than the ultrasonic in-display fingerprint sensor expected in the S10.